Dirty Dancing is without a doubt one of the most popular movies of the 80s. And I will admit it here and now: I love the movie and have seen it various times. When I first heard rumours about a stage version of Dirty Dancing several years ago I was properly excited. 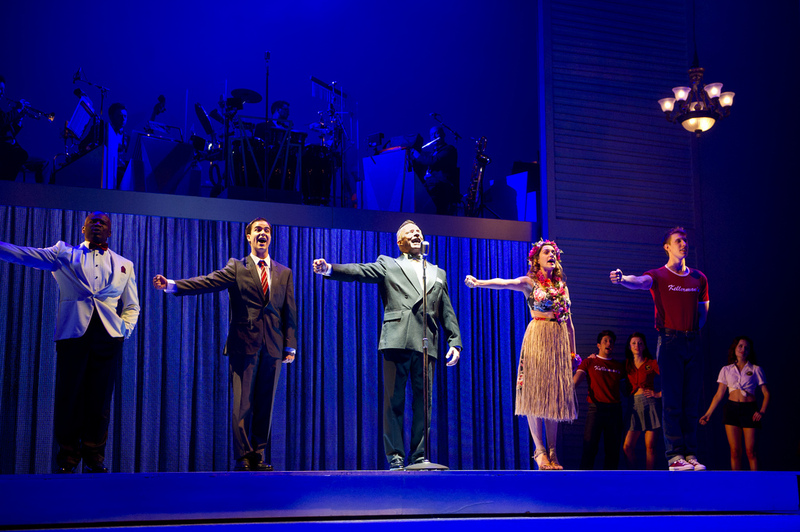 I saw real potential and the possibility for a gorgeous dance musical with great songs. Years later and after having seen the show in both Germany and the UK I now think differently. 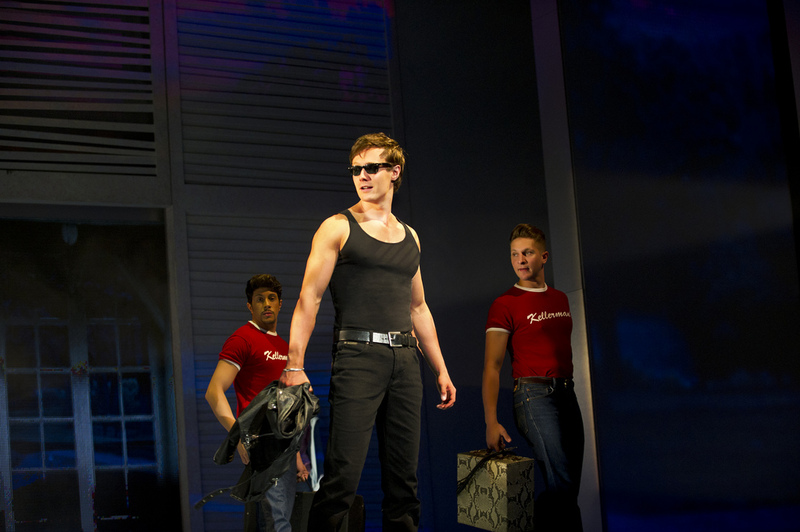 Dirty Dancing – at least in its current manifestation – doesn’t really work as a stage show. It’s not that the material is bad. After all there’s romance, great dancing, catchy tunes and handsome people. But when you put a movie on stage one thing is essential: You can’t transfer a movie scene by scene. But that is exactly what has happened with Dirty Dancing. And because of the almost ridiculous amount of tiny scenes stuck together the show doesn’t flow properly. It seems rushed and incomplete which I think is a real shame. After all shows like Saturday Night Fever have proven that a dance movie can be turned into a good stage show. After being on tour for about a year Dirty Dancing has now moved into its temporary new home in the West End. The show is slightly different from the last West End production which is no surprise considering it is a touring version. But then Dirty Dancing has never been the show of big sets. It’s all about the dancing in the end and we sure get plenty of that. Paul-Michael Jones steps into Patrick Swayze’s shoes as Johnny Castle. Personally I think he lacks the proper looks for the part – I always picture Johnny as tall, dark and handsome and while Paul-Michael Jones is tall and nice to look at he’s definitely not the dark type. However, he makes up for this with his brilliant dancing skills and a kind of boyish charm he brings to the part. I enjoyed his take on Johnny a lot. Jill Winternitz is Baby Houseman and she is without a doubt the sweetest and most natural Baby I have seen so far. I adored her from the moment she stepped on stage. Baby’s sister Lisa is played by Emilia Williams and I have to say for me she is the one weak link on stage. It may be due to direction but her Lisa is so completely over the top that I couldn’t connect with her at all. Yes, Lisa’s “solo” during the end of the season performance is supposed to be funny – but it shouldn’t be ridiculously silly. Charlotte Gooch’s Penny Johnson is quite a sight. She is just gorgeous to look at and a fierce dancer. Her performance is simply wonderful and she manages to give Penny a vulnerability that draws the audience in straight away. Stefan Menaul has to be the cutest Neil Kellerman in the history of Dirty Dancing. It is very easy to turn Neil into a complete geek but to make him slightly geeky but equally cute and actually quite likable is a real achievement. So thumbs up for Stefan for that! A special mention goes to Wayne Smith who plays Johnny’s brother Billy and gets to sing the iconic “Time of my life” amongst other songs. It is wonderful to see Wayne back on stage in the West End. He is such a natural on stage and now he finally gets to show off his lovely singing voice. The rest of the cast does a great job. This show must be tough for every dancer. The choreography is demanding and the cast rarely get the chance to catch their breath between scenes (another result of the constant scene changes). So, whilst I stand by my opinion that Dirty Dancing is not a very good stage show I really enjoyed seeing all those talented people on stage. They are what make this show worth watching. And yes, I will be back because there is no way I am missing out on seeing Joseph Prouse (who was away on the day I saw the show) do a bit of dirty dancing. And the only thing I am dreading is the typical Dirty Dancing audience. I realise this show attracts hen nights and the likes and I have nothing against an enthusiastic audience. But there is a difference between enthusiastic and plain awkward and sometimes even rude behaviour. Screaming (not cheering, I’m talking of proper hysteric screams) when Johnny makes his appearance to tell everyone that “no one puts Baby in a corner” is just a complete no go. And yes, we are not watching Shakespeare but talking loudly while the show is going on is rude towards both your fellow audience members and the cast. So, if you like the movie and want to see the famous lift and all live on stage you should consider watching Dirty Dancing at the Piccadilly Theatre. Be prepared for bad audience behaviour though! Dirty Dancing is playing at the Piccadilly Theatre until 22nd February 2014. For more info and to book tickets go here.